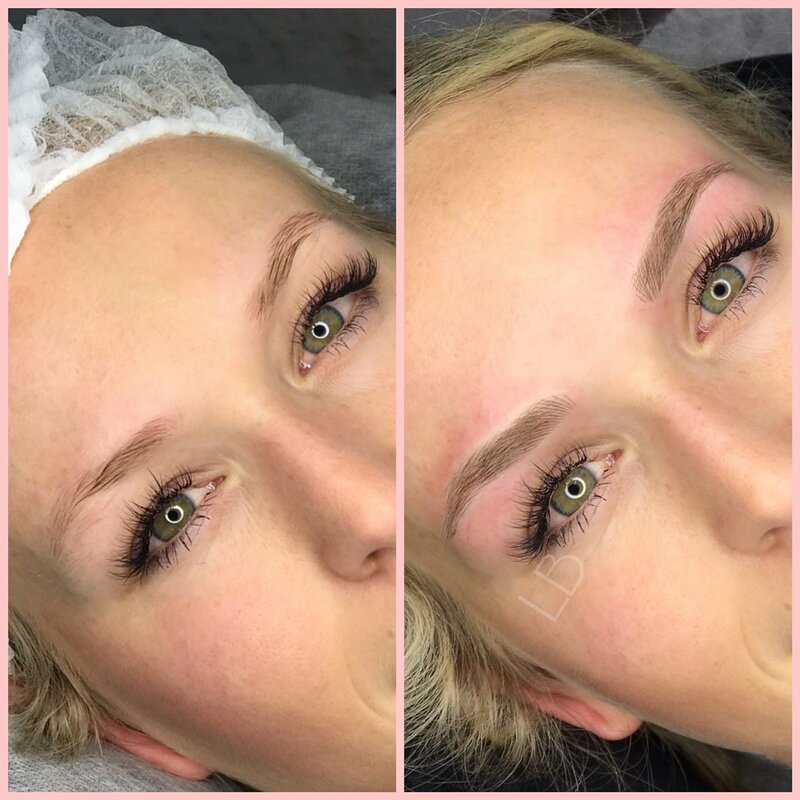 Blossom Brows Microblading is a revolutionary new brow shaping technique, commonly known as an eyebrow tattoo, that implants pigment under the skin using specially designed handheld tools. Providing individuals with permanently flawless brows that are ready to go the moment they wake up in the morning, microblading is a convenient and quick process that provides flawless brows for 10-18 months with no maintenance or upkeep. We have been practicing, perfecting, and administering this new technique since 2015, helping our team of expert technicians to further hone in on their microblading skills. As a refined skill that requires precision and dedication to perfection, ensuring every single brow is microbladed correctly and perfectly, we are proud to be labeled as a premier microblading business available in the greater region. Since we believe that hygiene and safety is of the most importance in everything that we do here, we take our time to perfect a natural look for each individual client. The handheld microblading tools are disposable by nature, which is why after each use, we throw them out and begin again with a brand new tool for the next client. To us, the look of fuller, natural brows can provide anyone with unmistakable radiance and beauty. Simply wake up and take on the day, knowing your brows have been supported, lifted, and shaped with a permanent appearance that is perfection to the sight. Save time getting ready and money on brow products and brushes with this safe, natural, and affordable way to have perfect eyebrows. 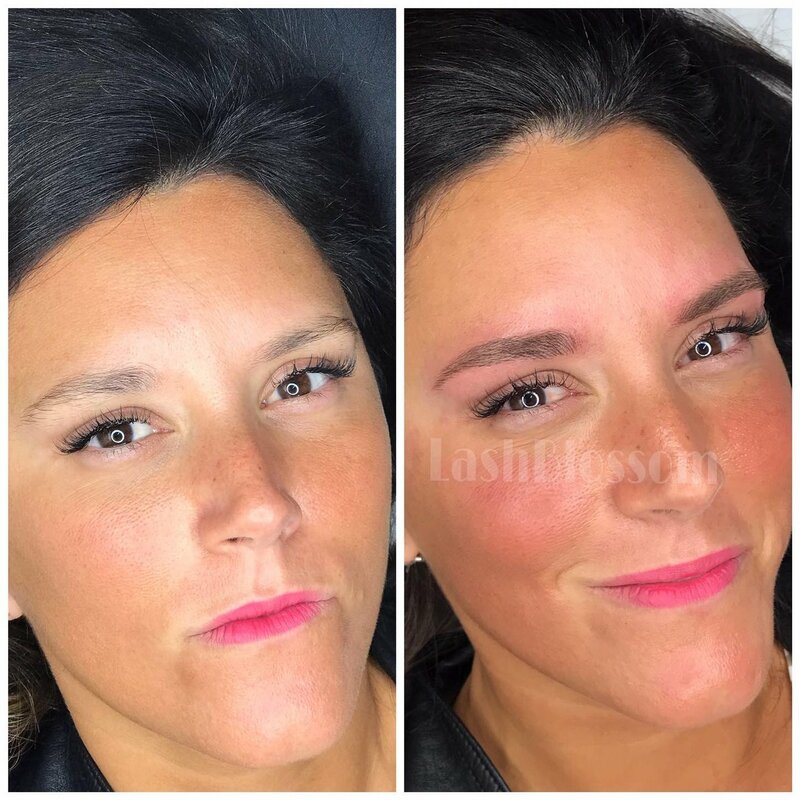 Why Have Your Brows Microbladed with Lash Blossom? We have been perfecting the art form of microblading since 2015. We were one of the first teams in the region to start learning and perfecting the art. We believe in natural brow microblading, which is why we approach each client with a perspective of natural beauty. We tailor each individual look depending upon brow shape and size, as well as face shape and size. We are skilled in different brow microblading styles, like feathered or defined hair stroke. We guarantee a finalized microbladed brow that lasts for 10 to 18 months. We achieve the perfect brow appearance in just a few appointments, saving you time. We are obsessed with hygiene, which is why we throw out each microblading tool once completed. Microblading is a safe solution for individuals with sensitive skin and skin rashes, covering up discoloration and blotches. We go slow to ensure everything is taking smoothly. How many appointments do I need before it is completed? In just 2-3 visits, your brows will have an entirely new, natural fullness. What if my eyebrows are very thin? We provide a colorized tattoo for microshading that will fill in fullness lacking in the brow region. How often do I have to have my brows redone? The beauty of microblading is that your brows are set for an entire year before you need to visit us again. Do you provide initial consultations? Yes, we do, although they are not free. We discuss the technique, color, and shape for your brow during this meeting. Pen Stroke (Feathered): For individuals who have fuller eyebrows with enough eyebrow hairs to create a natural structure, they are recommended to book the Pen Stroke Microblading. This is a feathered addition, placing brows in missing spots and open holes in the brow. Using a special pen, individual brow hairs are implanted into the skin where needed. Ombre & Mist: For individuals with very thin brows, or no brows at all, this is a machine-based blading service that comes with colorized tattooing essentially to create an entire brow and shape. 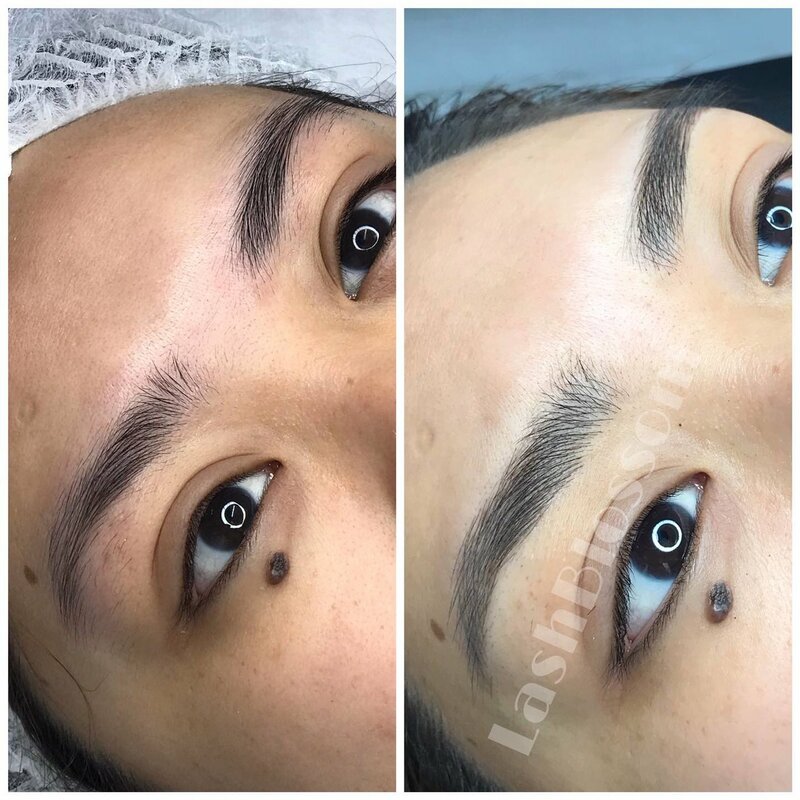 This is a more intense, tattoo-based alternative, known as microshading, that approaches the brow with a dotting-technique to fill in the gaps and large areas missing brow hairs/shaping. Hybrid Technique: For those falling somewhere in the middle of thin and thick brow, we also provide a hybrid of ombre and feathered microblading, including the same 12-month brow guarantee. Initial consultation: $90. (Please note, fee is waived if you proceed with booking). Undergo an initial consultation to determine suitability of service as well as ideal eyebrow design. We will require a $90 deposit to secure your appointment. The remaining balance will be payable at the end of your appointment.